Designed for a supreme thermal insulation, this is the ultimate garment to face extreme riding adventures. 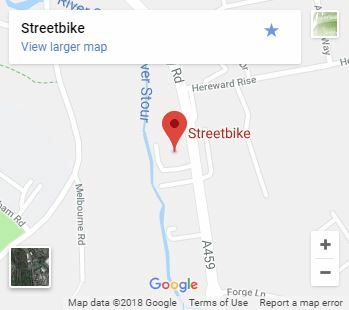 Whatever the temperature. Thanks to the Dainese technology based on the study of the lines of non-extension in the human body and will be used to keep NASA astronauts light and comfortable during their journey to Mars, every challenge can be lived in total comfort, without any performance compromise. 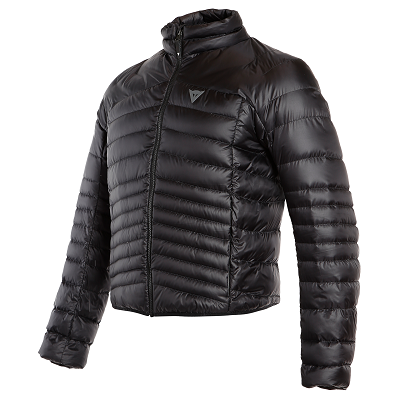 The removable inner goose down jacket allows confident rides in the coldest extreme climates and can be worn separately, to bring a non-stop warmth also off the bike. The laminated Gore-Tex 45,000mm shell is an unequalled protection against the elements and, combined with the direct-to-the-body vent zip on the chest, provides the perfect ventilation in warmer situations. Inner adjustable lumbar belt brings a perfect fit on the body. 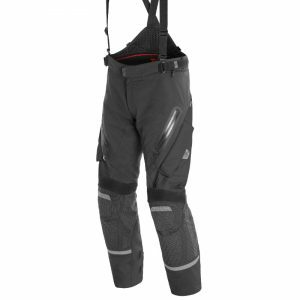 The outer pockets are designed to be easily used in a riding position without compromising the fit. Unique G.O. Pockets (Gloves Outer Pockets) compartment to rapidly place gloves and small items during a stopover is an exclusive feature an adventurer cannot do without. 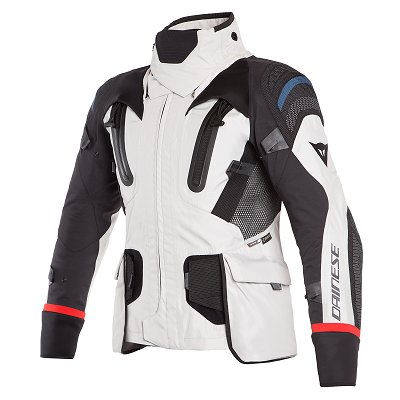 Pro-Armor level 2 back protector guarantee the Dainese highest safety standards. Undiscovered territories are waiting for extreme explorers. Whatever the temperature. 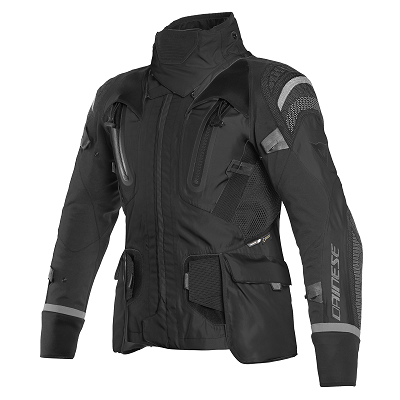 Thanks to the Dainese technology based on the study of the lines of non-extension in the human body and will be used to keep NASA astronauts light and comfortable during their journey to Mars, every challenge can be lived in total comfort, without any performance compromise. 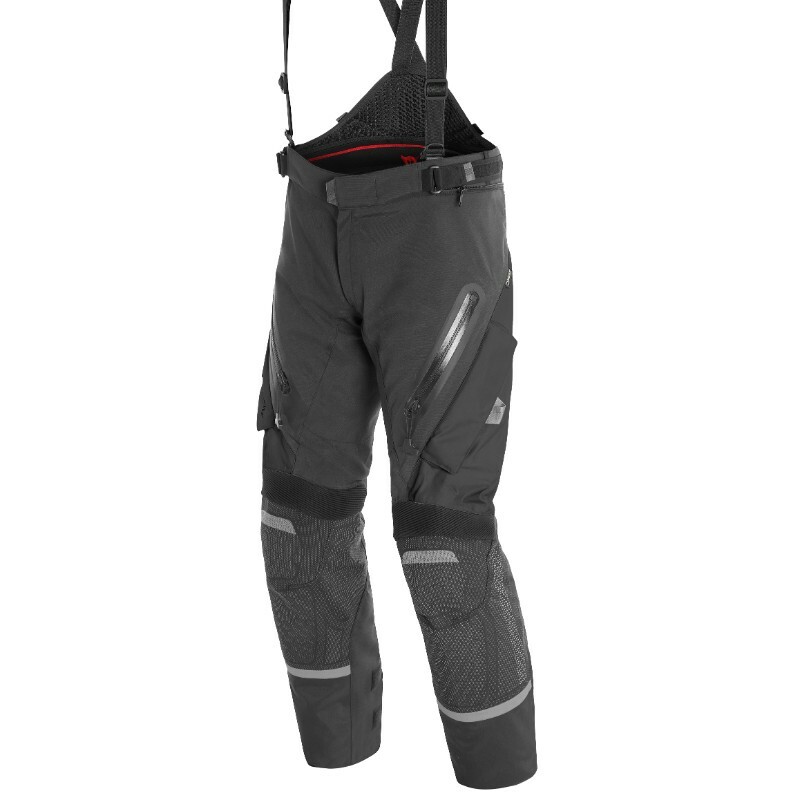 The laminated Gore-Tex 45,000mm is an unequalled protection against bad weather and, combined with the direct-to-the-body vent zip on the thighs, provides the perfect ventilation in warmer situations. 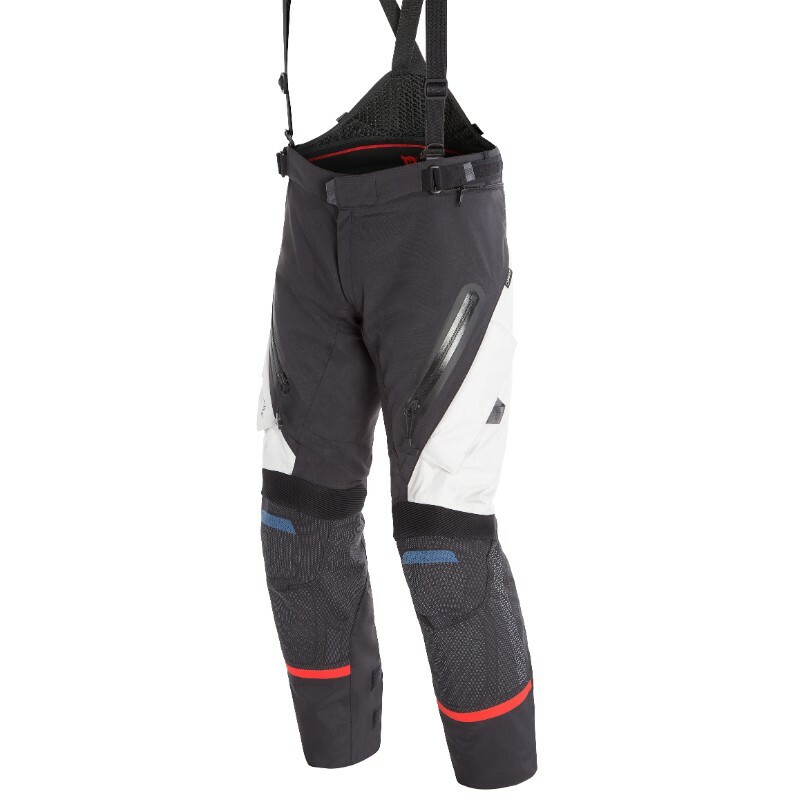 The removable inner goose down layer and the exclusive Storm Gaiter Cuffs allow confident rides in the coldest climates. 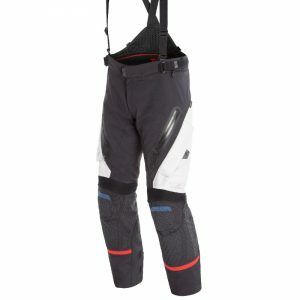 Nylon 6.6 high abrasion resistant fabric, Trixior D-Tec Engineered textile inserts on critical impact areas and Pro-Armor hip protectors guarantee the Dainese highest safety standards, the result of over four decades of development and innovations. Undiscovered territories are waiting for extreme explorers.